It's hard to top Mario Kart as the ultimate character crossover kart racing game, but that hasn't stopped many developers from trying in the past. Perhaps the most successful of these has been Sumo Digital, whose work on Sonic Racing has been well regarded for a number of years now. And, thankfully, continues on. 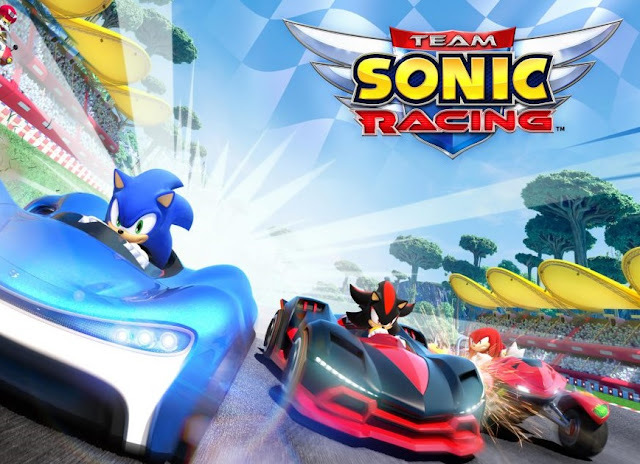 Sumo Digital and SEGA has announced Team Sonic Racing, a brand new kart racer for PlayStation 4, Xbox One and Nintendo Switch. It releases in Summer, and is already looking really good. Online Multiplayer & Local Co-Op Modes – 12 players per race, 4 player split screen, and various offline/online race modes including Grand Prix Mode, Exhibition Mode, Time-Trial and Team Adventure Mode. The focus on team-based racing could be a real point of difference with the Mario Kart franchise. Well that, and the characters. SEGA has a good stable of them, and they're certainly different to the Mario franchise. Could we even see Hatsune Miku? Probably not, since it seems like SEGA has lost that license, but I'm hoping against hope here.